And then I woke up and realized how much of a cheesehead I was being. I remember it like it was yesterday. The day I packed up nearly 22 years of stuff into my Jeep. I sat at the kitchen table, chomping on the last bits of breakfast, looking over the 12 hour route from Tulsa, Oklahoma to Minneapolis, Minnesota, one last time. I hugged my parents goodbye. We exchanged both sappy and practical words. “I love you. Call me when you get there. I am so proud of you. Stop for gas before you get to a quarter of a tank.” We were stalling to avoid the inevitable. As I pulled out of the driveway, I honked my horn as my final goodbye. Smiling and slightly tearing up, I drove off without looking back. This was it. This was the moment when I was leaving home to pursue my dreams. I had left before. When I was 16, I moved across the country from Detroit to Tulsa. I left for college two years later. A few years later, I left again for a internship in New York. This time I was leaving for a magazine position in Minneapolis. I knew only one person there. I knew little about the city, the weather or the people. I was nervous about going somewhere where I didn’t know much. I was anxious about being “the new girl” yet again. I was afraid. So what do I do when I get nervous? I turn up my music LOUD. Just by chance, this little tune sang through the corridor of my car: “If you never leave home, never let go, you’ll never make it to the great unknown. 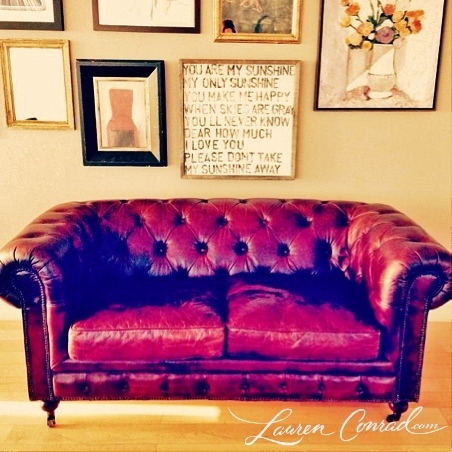 ’til you keep your eyes open my love.” I had heard this song before, but never had it resonated more true until that moment. Quickly my fears were pacified. I still felt the butterflies, but the joy of the adventure was too big to pass up. So I cranked up my music a little louder, hit the gas and headed out to the unknown with a big smile on my face. The first time I was pushed out of my comfort zone was when my parents decided to move my family across the country while I was in the middle of high school. I hated their grand plan. I didn’t want to leave my friends, my family and the place I had always called home. What I didn’t realize at the time is that my parents were doing me the biggest favor. Moving at such a pivotal time, when you’re 16, a junior in high school and just finding your place, taught me that there’s a big world out there, a really, really big one! If you only stay where you’re comfortable and never experience it, you’re doing yourself a great disservice. It is in the uncomfortable that you gain perspective. It is in those times that you grow and get to know yourself. You become stronger. You learn to form your own opinions. You learn that there are all kinds of people out there, many of whom do not look, dress or think like you. You are humbled by people who may not be rich in tangible possessions but whose wealth lies in the wisdom and love they share with you. While I have traveled to many states here in the U.S. and several provinces of Canada, I have yet to leave North America. (it’s on my bucket list and traveling to all 50 states!) I wanted to share a global perspective about how traveling can provide a life changing experience. I asked a few friends, who have traveled abroad throughout their college years and whom I admire so much, to share their experiences. These girls have guts! And that’s what I love about them: Their courage to step out into the unknown in order to learn, to serve and to become better human beings. Lucy in front of the Houses of Parliament. From Lashaunique: When I was in high school, I lived in a box. Engulfed by financial burdens, limitations and my own ignorance, I thought traveling abroad was not an option. Once I stepped onto University of Michigan’s campus, however, I knew there would be no box I would ever fit into again, especially when it came to traveling and new experiences. I was determined to travel abroad even if it was just for one week. I was able to travel to two different countries during my sophomore year of college. 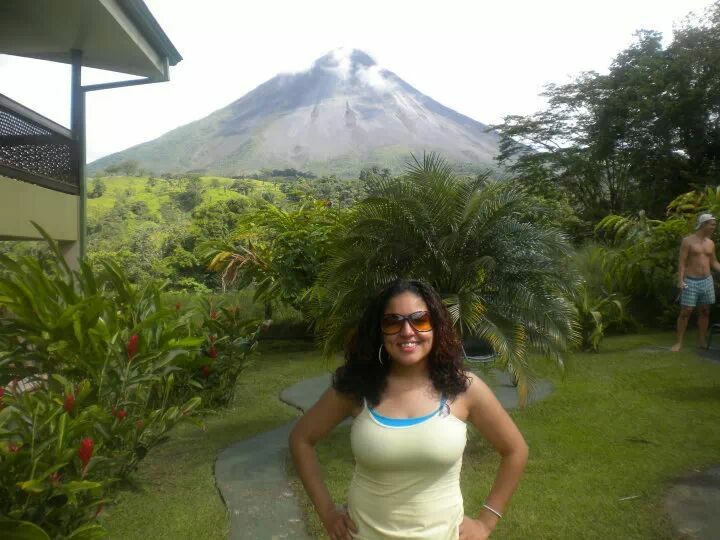 First, I traveled to Costa Rica for three weeks to learn about eco-tourism and sustainability. Second, I traveled to the Caribbean for vacation and fell in love with the beauty and the culture. What she learned: I am glad that I let nothing stop me. I learned about different aspects of business and learned that I’m strongly interested in sustainability. Additionally, I learned about the Costa Rican culture, agriculture/plant life, food, and gained life-long friends. 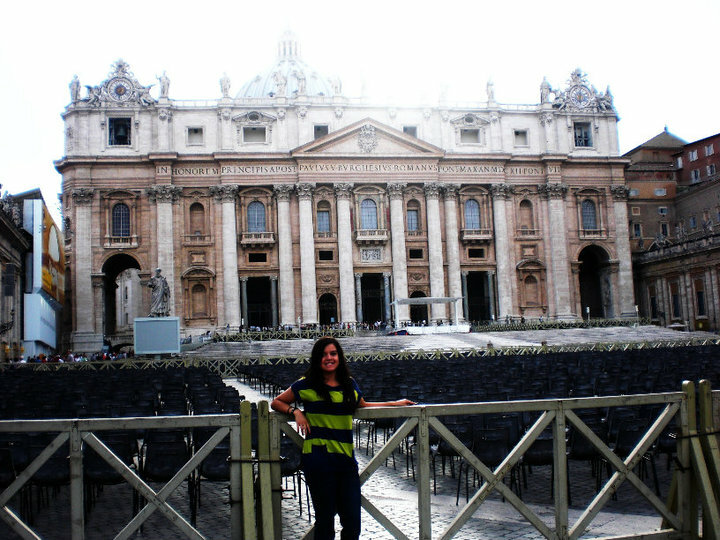 Benefits of traveling abroad: Both experiences abroad are indescribable and have helped shape who I am today. I am even certain that two of my employers considered me because of my experiences abroad. I am extremely glad that I pursued my desire to travel because the world is much more interesting than a box! Lashaunique is all smiles at the Arenal Volcano in Costa Rica. 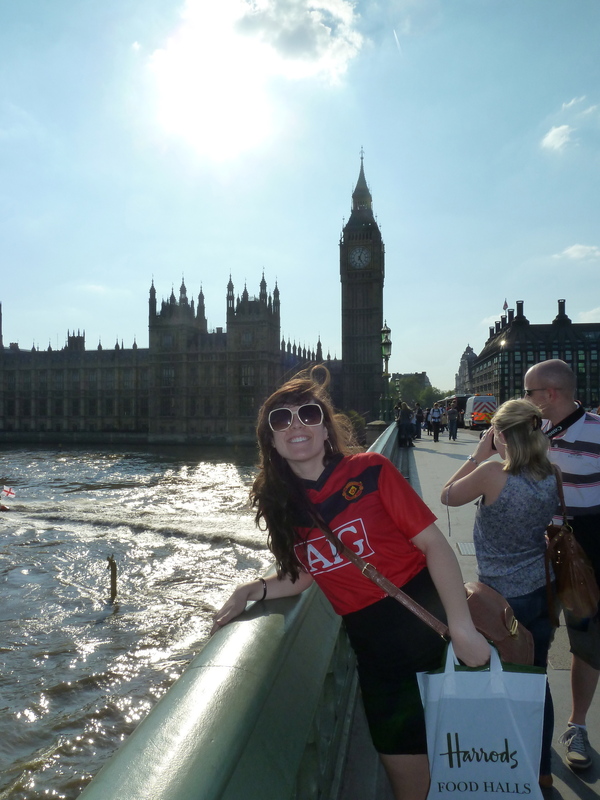 From Erica: I had the opportunity to study abroad in summer 2010 and took courses on European Business Law and the history of the European Union. It was my first time visiting Europe and a dream come true. The following summer, I landed an internship in Los Angeles, another dream come true. Favorite Memory: In LA, I was able to work for a large retailer and assist in a fashion show in Orange County. In Europe, I got to visit France, Italy and Switzerland. After visiting the Colosseum in Rome, the Eiffel Tower in Paris, the romantic city of Venice, a beautiful island in Switzerland, and famous vineyards in France, I came to the realization that the world is so much bigger than we think! What she learned: My time in Europe allowed me to see the way other cultures interact with society or how they go about their every day lives. It definitely left me open minded. In LA, I gained an invaluable experience and connected with leaders in the fashion industry and made friends that I still keep in touch with today. Advice: Whether its leaving the country or leaving the state, I encourage everyone to travel. Just go somewhere, anywhere. From Dajai: In May of 2013, I had the pleasure of traveling abroad for the first time. I went to Quito, Ecuador with a group of students interested in the health field. We visited different health care facilities and volunteered at clinics. Favorite Memory: My most memorable experience was being able to support a woman in labor and getting to observe the excitement when she gave birth to her son. Another favorite memory was when I got to spend time at a clinic that provided service to a local elementary school and completed physical assessments.The kids were so grateful for the care provided and they enjoyed talking to us. Overall, it was a worth while experience. What she learned: Although I had challenges adapting to the language barriers, I gained a new family and knowledge about the healthcare systems in South America. In addition, I gained a greater appreciation for the culture and all of the privileges I have in the U.S. My host family was big on family dining and made sure that we all ate our meals together. I appreciated this because it allowed time to reflect on our day. Family dining was one of the things that I brought back to my own home. All in all, I would return to Quito to give back and in the future I plan to travel to other countries to make a difference in many lives. 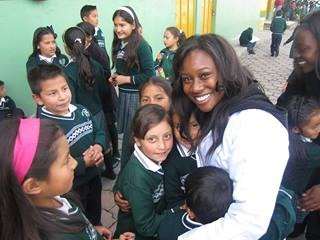 Dajai embracing Ecuadorean children at a community outreach in Quito. 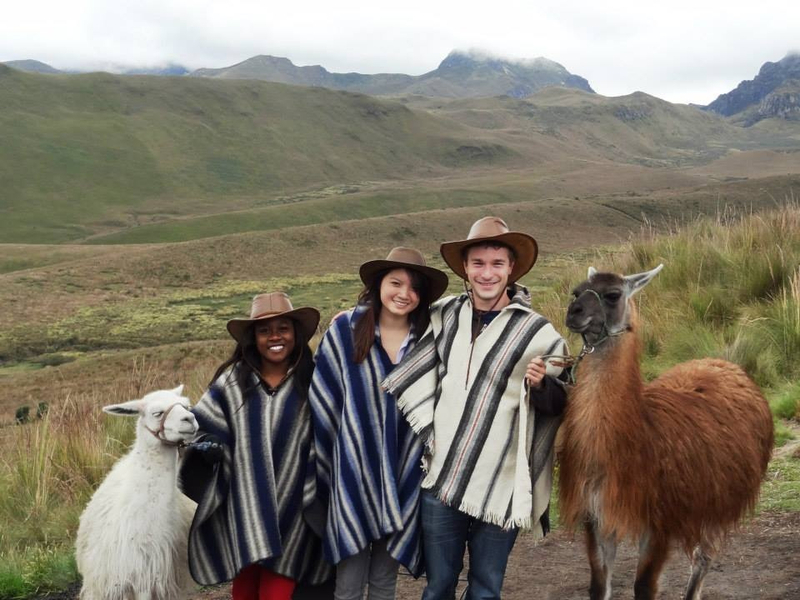 Dressed in Ecuadorean ponchos, Dajai and two fellow students harness llamas. 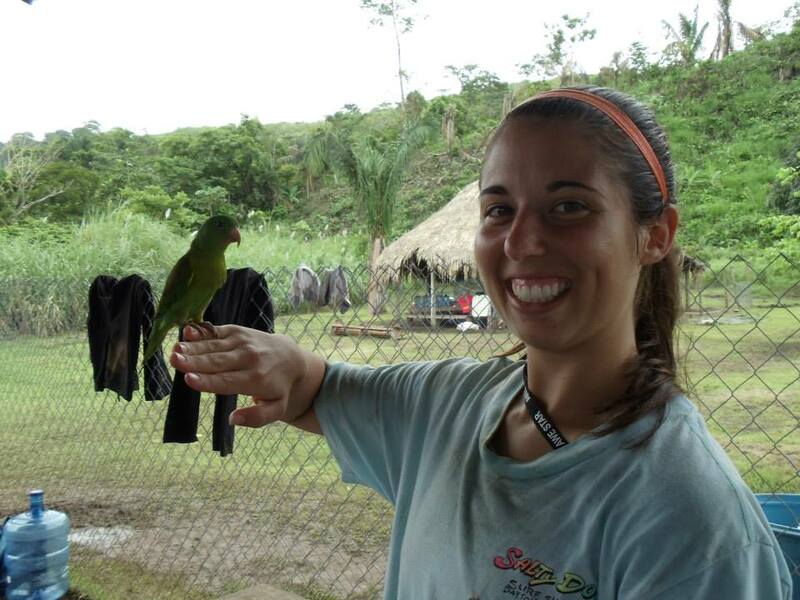 From Casey: In summer 2013, I traveled to Panama for an evangelistic mission trip. We were there for two weeks. Most of our time was spent in the city walking around market places and various schools to present the gospel to the people in Panama. Favorite Memory: In our last few days, we took a two hour canoe ride (in the pouring rain) outside the city, to a village called Mahay. 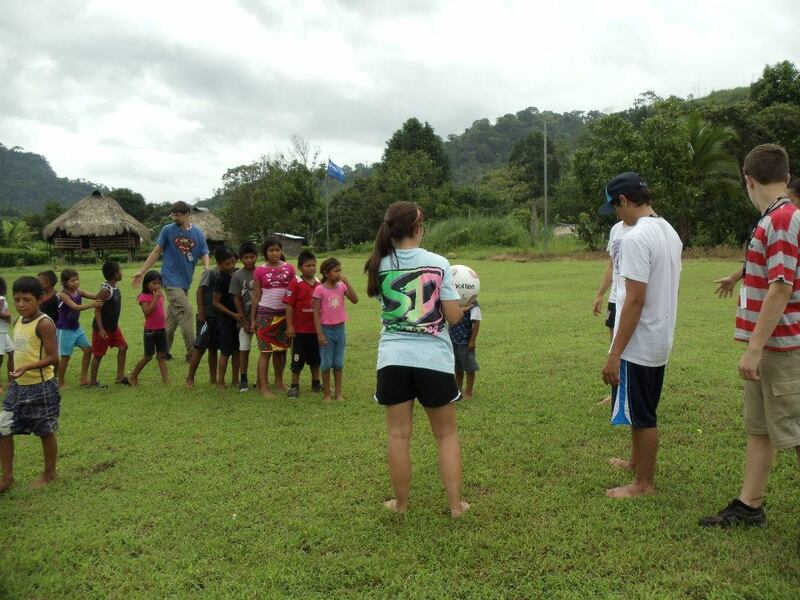 There we got to play soccer with the kids, and helped villagers with anything they needed. In the jungle, we slept on the floor of a grass hut and ate fish that the villagers caught from the river. Roughing it in the jungle was my favorite experience of the whole trip, mostly because I got to have a soccer clinic for the kids there and then afterward my sister and I sat the kids down and shared the gospel. What she learned: I realized that I take a lot of stuff for granted here in the states. Now I try to appreciate the small things, like being able to pet dogs here who just come up to you. In Panama a lot of dogs had diseases and people were afraid of them. Also, I took for granted how blessed we are to be well protected here. In Panama, women and children are not allowed to be outside the house past 5:00 p.m. because it was unsafe. Advice: If there would be advice I would give to any student, it would be to travel somewhere outside the United States while you have the opportunity because it will change your whole world. Casey and the other volunteers playing soccer with the Mahay village children. Casey shows off a baby parrot in the village of Mahay. People often ask me how I travel to new places on my own? How do I have the courage to move to new cities where I don’t know anyone? Am I not afraid? My answer, Yes, I am nervous every time, but I do it anyway. I have learned to smile at the unknown, to embrace the adventure of not knowing. That would be my advice to someone contemplating a new opportunity, whether it be traveling cross country, studying abroad or moving to a new city. Feel the butterflies, but do it anyway. There will be every reason why you shouldn’t go. It’s too expensive. You won’t know anyone. There is a language barrier. It’s hard. It’s uncomfortable. It’s out of your comfort zone. Everything may be working against you. Your fears may tell you it is impossible. Negative people may say you cannot do it. Do it anyway! Go anyway! I guarantee you will not regret it. There is such a big world out there. I dare you to go out and explore it. The four years I was in college, were pivotal for me. The 18-year-old girl who walked on campus was not the same person as the 21-year-old young woman that packed her bags and moved away from little Stillwater, Oklahoma. 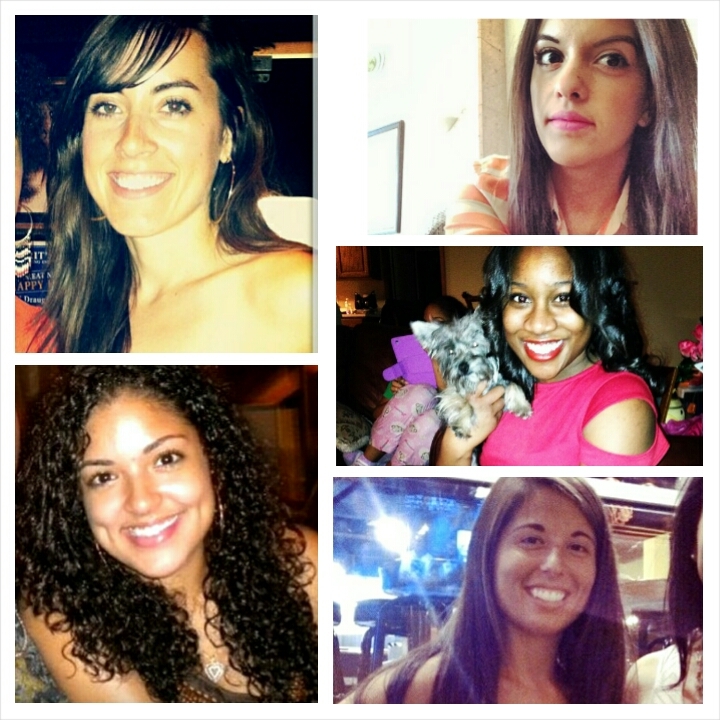 I made some of my best friends in college. I stayed up for hours studying for finals, never sure how I was going to pull off a passing grade but somehow always did. I had my first love. I landed an internship at a major magazine in New York. I won a pageant in college. I started a magazine. I met people from all over the country in college. I traveled to some of the smallest towns and some of the largest cities. I took lots of sporadic and fun road trips. I tried foods that I would have never thought to try (and even liked some). I joined a sorority and actually liked it. I started a chapter of a nonprofit organization and was able to volunteer at countless other organizations. Here’s how I look at it: Each chapter of life should get progressively better because you grow. Every season we are in will have its ups and downs. Post grad life is full of them, from moving away from home, bills, jobs woes, adjusting to a new city and meeting new people. Sometimes it can get overwhelming. Sometimes all those newly found adult responsibilities can be hard to balance, but lets not forget that college had its share of problems too. Think overpriced books, finals stress and weight gain to name a few. With the downs of post grad life, don’t forget the ups: independence, travel, meeting new friends and reconnecting with old ones. I never want to get stuck in one season that it stops me from enjoying my present. For now, I am a young adult living in her post grad years. I am in my early twenties still trying to figure things out. I have bills to pay, a job to go to in the morning and dinner to get on the table. Yes, it can be stressful, but I wouldn’t change it. I am sure that when I am in my thirties and have kids crying, laundry to finish and diapers to change, I’ll look back on my twenties and miss them, but I also hope that I will be content with all the blessings that season provides. Today, my friend and I will were able to rehash our college years and all the highs and lows. I am so happy that she is working in a career that energizes her and brings her to life. I am even happier that she has grown since college and has become this radiant, young woman. That is my wish for myself and every twenty something. That life after the college years only gets better. I hope things aren’t easy for you. I hope you are challenged, pressed and pushed to grow. I hope that when opportunities for new things come knocking on your door that you take them. I hope that you are constantly learning, changing and growing into a better version of yourself. So for all you college students who are cringing at the idea of graduating and leaving the college bubble, take it from this post grad. Life is what you make it. Life after college will be as good as you make it. 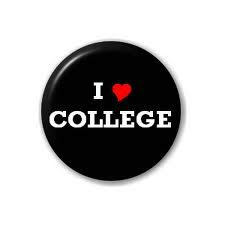 Don’t spend years of your life trying to relive the college life. When it’s over, accept it and gracefully close that door. To all you current, post grads, maybe some of you are job hunting or others are getting settled in new jobs and cities, remember to enjoy this time. Heck yea, it’s hard! But enjoy this season for what it is: one with ups and downs. A season that brings laughter, tears and a chance to grow at every turn. It is that time of year again. Valentine’s Day. The fourteenth of February. The day when couples around the world commemorate their love for each other with flowers, heart shaped balloons and chocolates. With all the pomp and circumstance surrounding the fourteenth, it is easy to get caught up in the hype of the Hallmark holiday and to start to define love by the grand gestures shown in one day. What is love though, really I mean? Is it roses and chocolate covered strawberries? Is it fancy dinners and Tiffany jewelry? As a single, twenty something, I may still be somewhat of a novice in the romantic department of love, but I’d like to attempt to define love. When I think of love, I don’t see red. I see white, a beautiful, white gown a friend gave me for a pageant I was competing in because I couldn’t afford a new one. I see my father’s eyes and the way they lit up when I came home for a surprise visit after being away for a long time. I smell sweet, chocolate brownies that my mom used to make my brother and I. Waiting a whole 30 minutes seemed forever to two kids, so my mom would give us the bowl and spoon to lick. I hear laughter as my grandmother pushed me on the swings. It tired her arms, but she never said anything. She knew how much I loved it. I feel tears, as I cried over the end of my first relationship while my oldest friend sat and listened to my hurts. I see an old bicycle that my dad used to ride across town to see my mom back in the days when they were just friends. I feel a hand holding mine as I stepped out onto the ice for the first time. It had always been my dream to ice skate and I felt safe having someone I knew cared about me hold my hand. I hear loud singing as me and two of my high school friends belt out every lyric to Destiny Child’s Survivor at karaoke night. I feel my father’s strong arms, as he let me fall apart on his shoulder at my grandmother’s funeral. I smell the sweet scent that only a newborn can have as I met my newest cousin when I went home to Michigan for Christmas. When I think of love, I think of all these things and more. Love is so much bigger than one day of the year. Love is not about grand gestures. Love is not boiled down to simply the romantic kind, but so many people get lost in looking for “the one,” especially on this big commercial holiday that they forget that love is all around them. Love is an amazing, amazing thing. For so many ladies and men, the fourteenth of February is a dreaded day because it only serves as a reminder of their single status. I encourage you to not get caught up in all the pomp and circumstance of Valentine’s Day. If you do not have a significant other, I hope you take this day to ponder the love you do have in your life. Remember that love is more than cards, chocolates and fancy things. I may be a young twenty something, but I have come to understand that love is selfless. Love is giving of the things one holds most dear. Love is putting someone else before yourself. Love is patient in the most trying times. Love listens. Love seeks to understand before asking to be understood. Love doesn’t quit. Love is you. Love is me. Love is in the way we treat people. Love is the memories made and the people we make them with. Love is everywhere. Open your eyes and let it in. Don’t forget to tell someone you love them today and every day. Love is not only reserved for the fourteenth of February! I love meeting passionate people. People who have found that one thing that makes them tick. People who have dedicated their lives to pursuing a dream and living it out to the fullest. Thomas Blankenship is one of those people. A few weeks ago, I had the great pleasure of meeting Blankenship for an interview for an article for TulsaPeople magazine. Blankenship’s story is one of the American dream. Born and raised in the heart of the mid-west (southeast Arkansas and Tulsa, Oklahoma), Blankenship packed up his bags after a semester of college to pursue his dream of working in the illustrious entertainment industry. After some time, Blankenship started to make progress and booking acting jobs. His career was off to a great start. In his free time, Blankenship’s love for the arts and story telling filtered into a creative outlet. His garage became his studio, where he would redo old pieces of furniture and create art from scraps of metal he’d find on the streets. He started making hats as just another side art project. After some encouragement from one of his roommates, Blankenship headed down to Melrose and showed his hats to the acclaimed designer, Lisa Kline. She loved the hats and started selling them in her boutiques. Fast forward to present day and Blankenship’s spare time hat making hobby has formed into an internationally selling hat brand, Rustix. What stood out about Blankenship was his humility and his drive. After heading to the Hollywood hills and not finding exactly what he had hoped in the acting world, he turned his passion to create things into something else. He used the skills he had, creating art and story telling, to create a unique hat line of distinguished, worn-in hats. What he didn’t know, he taught himself (i.e. how to sow and how to start a business). Blankenship’s innovation and gumption are admirable. When one path didn’t work out, he kept going and used his passion to create something else. Most of all, what I love is his eagerness and willingness to step outside the box and do something different. Not everyone has the courage to leave home to pursue a dream. He did. Twenty somethings everywhere should take a note from him! His story encourages me to not let fears or what other people think stop me from pursuing my dreams. After all, we only get one shot at this thing called life, and I am going to take it! 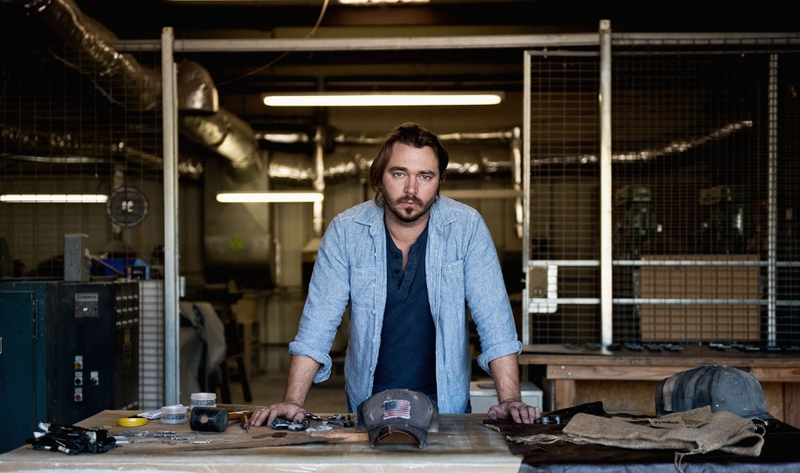 To learn more about Blankenship and the Rustix hat brand, head over to rustix.com! New to the box office this past weekend, That Awkward Moment, starring Zac Efron, tells the story of three best friends at the pivotal and sometimes uncomfortable part of a relationship where the questions is: Where is this going? Although the movie took third place in movie sales, after Ride Along and Frozen, the movie hit the nail on the head by showcasing a universal truth: The twenties are FULL of awkward moments. Whether career, friendship or relationship wise, the twenties can have your underwear in a knot on any given day. While stressful, difficult and sometimes, just outright debilitating, I like to think that these awkward moments bring lessons, if we pay close enough attention. Recently, I encountered my very own awkward moment and I thought it was worth sharing. The past two weeks, I had the chance to hang out with two friends who I don’t get to see very often. By some strange occurrence, in both meetups, my ex-boyfriend somehow became a topic of discussion. I think the conversation may have started off something like, “Why did you two breakup? How long were you together? What is he up to now?” To say the least I was caught off guard in both incidences. I had to look around and make sure I wasn’t on candid camera or that my ex wasn’t hiding out somewhere waiting to see what I might say. While I know my friends saw it as nothing more than a few harmless questions, I felt like I was going through the interrogation process. So what’s the big deal, right? You may be thinking, you dated the guy. Why not expect you might be asked about him from time to time? While all that may be true, I don’t think anyone enjoys that moment when an ex becomes the topic of conversation. For me, it was not one, but TWO, times within an eight day period. It’s been about three years now. We broke up sometime before Valentine’s Day in 2011. I wonder if my name will forever be attached to his. Will I always be asked about this guy and our relationship? To give you some background, this person was the BIG heartbreak. There are breakups and then there are heartbreaks. Heartbreaks are the ones that really leave a mark. You know what I am talking about. The loss of this love wrung my heart and took it through the trenches and back again. It took what seemed like FOREVER to get over this guy. So when people randomly ask about it after three years, it’s a curve ball being thrown my way. So what’s a girl to do? How do I answer those questions, “Why did you guys break up? Do you guys still keep in touch? What is he up to?” How do I remain honest without revealing too much? How do I recap without going back to past hurts? Can I save face and speak positively about this person from my past? How do I keep it together? Here’s what I learned: When I am handed a curve ball, it is up to me what I do with it. This applies to every area of life. Whether I lose my job tomorrow, get into a fight with a friend, have a tire blow out on the way to work, or I run into an ex looking a terrible mess, I choose my response. I choose my attitude. I choose my words. No one but me. So I am 23 and still stumbling along the way of this journey. I run into some awkward and embarrassing moments pretty often, just like you. I am learning to show myself grace and others as well. When asked those sometimes uncomfortable questions about a breakup, I have decided to choose my words wisely. It would be easy to sit and try to recap every argument that led to our falling out. It would be easy to speak negatively. Holding on to it is easy. What’s difficult is choosing to let go. My awkward moment gets a little less awkward with time as I learn how to handle it better. As I learn to speak words of life about a situation that once hurt me, I get stronger. The truth is we were just kids when we dated. We both made mistakes. Who am I to judge him now for the things that happened three years ago? I know I have grown up and changed. I am sure he has too. Because that’s what life is all about, change! Cheers to growing and learning even through the awkward moments! I hope you learn to handle life’s little curve balls with grace. If anything, at least find the humor in them!